Neat, sweet, and definitely a treat! 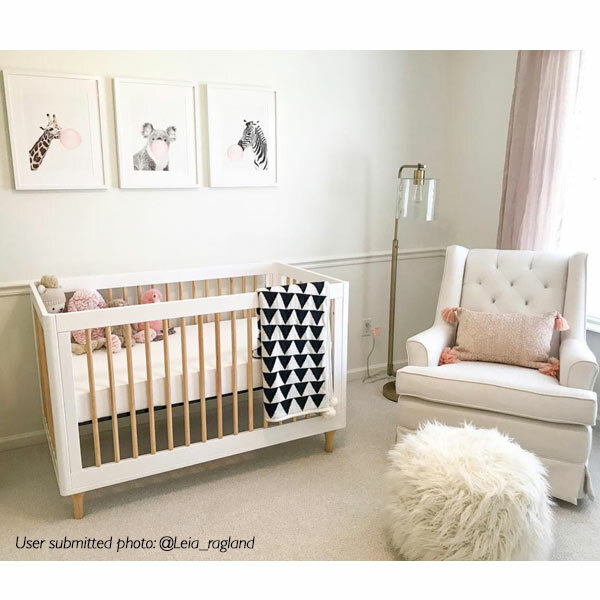 The simplistic style of this traditionally tufted wingback swivel glider makes Nikole easily adaptable to any environment. 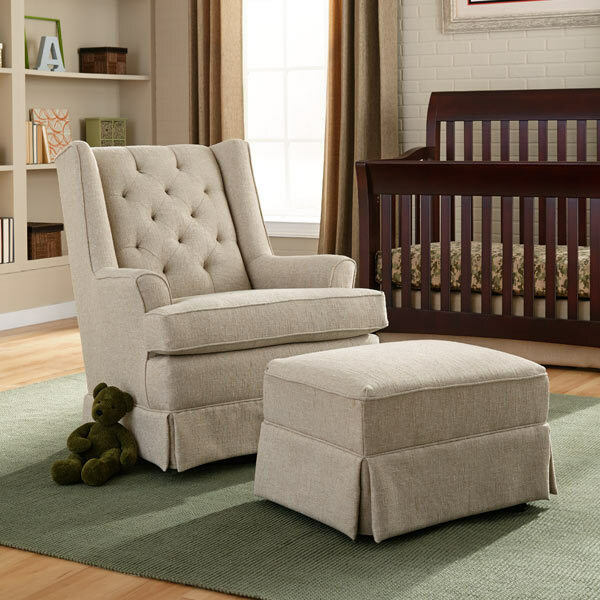 Perfectly styled for the nursery, this swivel glider can easily transition to the living room, reading den or bedroom. The whisper smooth gliding motion, tall back, and plush supportive seat cushion will be a winner in everyone's eyes. This swivel glider can be custom built in any of Best Chairs' designer select fabrics, and you can glide with your feet up with the matching ottoman.